- With this single, Nagahama Neru ended her Kennin with Hiragana Keyakizaka46, becoming a full Kanji member. - Hirate Yurina becomes the second member of the Sakamichi groups to center a single 5 consecutive times, the first being Nogizaka46's Ikoma Rina. - With this single, Hirate Yurina becomes the first 46/48group member to have a solo cd cover 5 singles in a row (6 releases total, including their album). - Uemura Rina does not appear in the music video for Kaze ni Fukaretemo, however she does appear on the covers (Regular edition). - Hirate Yurina and Imaizumi Yui have reduced their total handshake slots to 6 and 9, due to health. Nijika in front row is my only wish. habu and ozeki would be nice too, since they're only been in 2nd row for saimajo, then got sent to 3rd row forever welp. I hope it is double center this time.. Poor Tenchi seems stressed out recently.. I felt like it is better if Tenchi co-center with other girl.. less burden for her..
Also, Neru is NOT a Hiragana Keyaki member anymore. She won't participate in Hiragana's songs and she won't participate in their drama either. Not surprised with Techi center either, or with Habu, Ozeki and Nijika's front row. I'm just glad management have taken on fans comments about "everyone getting a chance". A little surprised with Zumiko at the 3rd row, but i'm guessing they don't want to push her that hard. We might even be surprised with the formation, since Takahiro likes to change things up a lot. We could see her at a center position throughout the dance, kinda like Moriya in the last single. Overall looking forward to this single. It feels like the group is finally aligned lol. Comments on Neru are in the Keyaki thread. Kinda surprised with Koike/Aoi at the 2nd row and Zuumin at the 3rd row. I don't know if I really like Techi being center again since she looked so tired recently. Also, I'm really happy for Nijika, Habu and Ozeki. I guess this will be the last only Kanji senbatsu? We'll probably see the shuffle by the next single, now Hiragana needs a representative in senbatsu. Actually, i think techi (and all the members) took their positions really well. There was no tears, no upset faces. It was almost as if they all were already told where they would be lol. Everything that happened was a logical decision based off past events these last two months. Suzumon and Pon being beside techi makes me think this will be a dance track, and they are positioned there so that it's not so hard on techi. I also noticed that the center's of the 3 rows are Zumiko, Neru, and Techi respectively, so we could be seeing some line rotation in the choreography. Since management kept their word on allowing all members to have a chance at the front row, and Takahiro's skill in formations, i have faith that this one will be interesting. 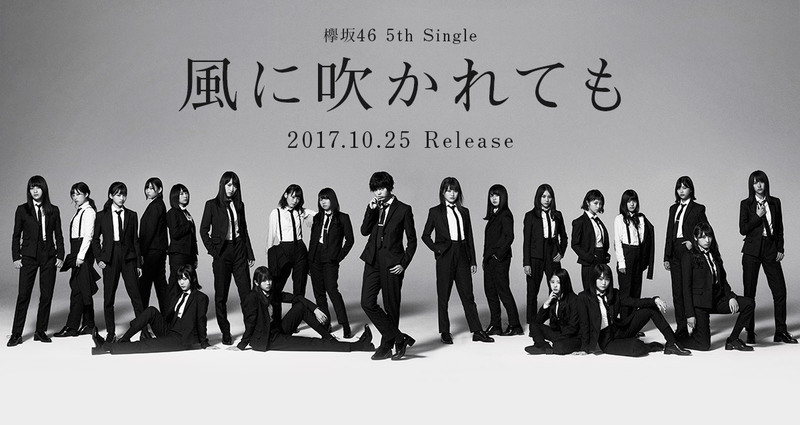 Kanji: Techi, Neru, Sugai, Zumiko, Yuipon, Mona, Risa, Rika, Suzumoto, Akanen, Koike, Aoi, Nanako, + either Oda, Uemu, or Shiori. PROMOTION PHOTO AT THE FIRST POST! So I was concerned about Techi centre again but she looks happy in the video, maybe doing a song like this will help her enjoy this again. I still remember in an interview from ages ago she said how she wanted to be an idol that made people smile. As far as I know, Zumiko is there... but not Uemu!! !